That Percy looks like a real ‘grumpy cat’! Fun to read about you cleaning up after the summer and preparing for the cold weather. I have to get out in the garden this weekend! 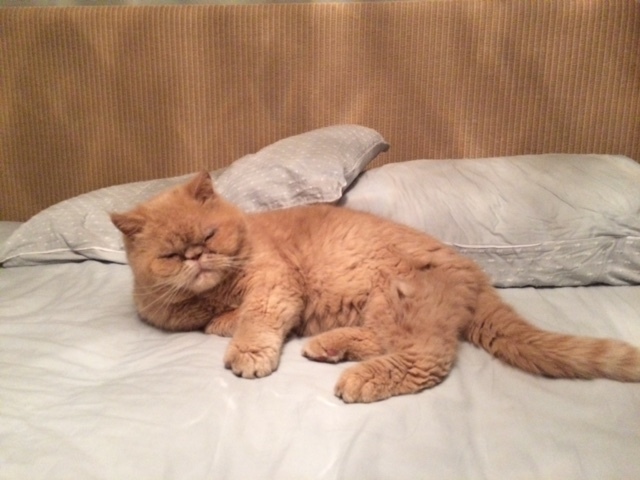 Percy looks magnificent – very laid back! Yes, I love Autumn, but it’s been rushing into winter this last week. Percy’s the best. He’s not technically ‘our’ cat as he is a free spirit, but we have a kind of timeshare agreement on him! I love Percy – so chilled. Isn’t autumn a lovely season?